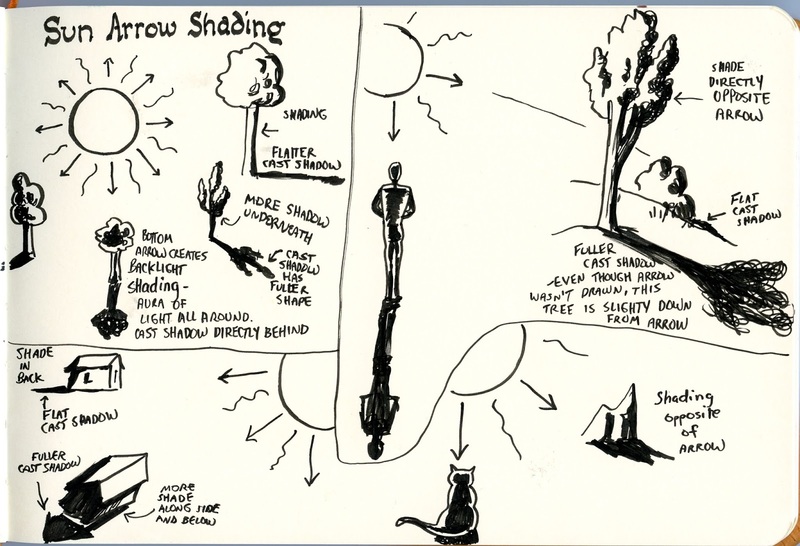 The step-out Sun Arrows is designed to show you how shading works in my fantasy world. The arrows show you the direction that shadows would fall. But there is a little more to it than that. I’ll get into shading in more detail eventually, but this should get you started for now.